The Wine Lover’s Calendar has told me that it is Texas Wine Month. I have barely been to Texas, unless one counts the time I was in a lay-over at the airport. When I think of Texas, I can’t help but think of John Wayne and some epic Western films, but I have to get myself back to reality, and just admit that I have never had a bottle of wine from Texas, but like all of the other states, that I have missed, I am sure that one day, that will change. Of course, my Bride has been to Texas, but then again, she never tried a Texan wine either. One of the great things, as I have stated before, is that I now get a chance to learn more about wines, as I write these articles, and hopefully my writing has also improved over time. I say that, because Texas for wine is as foreign to me as China. Over the years I have learned about both places, but as for wine, it is all new to me, and it is fun to learn. Texas is actually rated fifth in wine production for the United States of America, and that the oldest winery in Texas is Val Verde, which was founded in 1883, in the Southwest region of the state along the Mexican border. Another great fact that I discovered was that Thomas Volney Munson established a vineyard and nursery in Texas. It was Munson who experimented grafting European and American rootstalks and created a workable solution to the Phylloxera problem. For this work Munson was named a Chevalier to the Ordre du Merite Agricole in France, and rightfully so, that he should be so honored. Texas has eight AVA designations. Texas Hill Country AVA is the largest and contains two independent AVA regions in it (Fredricksburg in the Texas Hill AVA and Bell Mountain AVA). While this designation is large, the majority of the wine is made for local use. Two of the designations share areas with New Mexico and they are Bell Mountain AVA, which is the first AVA in Texas and most of the land is in New Mexico and Mesilla Valley AVA. Fredricksburg in the Texas Hill AVA is the only designation that does have a problem with frost on the ground. Escondido Valley AVA has only a few wineries at the moment and the same status for Jeff Davis Mountain AVA. Texas High Plains AVA is the most successful area for wine and it shares the acreage with wheat and cotton plantings. The newest designation Texoma AVA, named after Lake Texoma is the area where Munson did his plantings and nursery studies in Denison. Most of the Texan wineries grow the classic varietals; Cabernet Sauvignon, Malbec, Syrah, Viognier, Riesling, Chardonnay, Chenin Blanc, Pinot Noir, Gewurztraminer, Orange Muscat, Zinfandel, Grenache and Sauvignon Blanc. From an even more distant perspective I was very surprised to hear that wine is made in Texas! Frank, Really? Wine is made in every single state in the US. Some much better than others. Texas wine is improving and doing quite well. No competition for the big three but solid wine. Frank, I agree that there are many wines that most of us will never get a chance to try, and I do not mean the stellar wines that we all wish to try, that are on our bucket lists, but all the wineries from remote areas that have limited production and strive to be the best in their locale. Michelle, I do hope to one day to be able to say that I have tried wine from every state, and I applaud every one that has a passion to attempt the endeavor, and I applaud everyone that has a desire to write about each and every moment where they have enjoyed a glass of wine. Frank, thankfully the grape is abundant and can be found almost everywhere. Thank you for stopping by. You have an open invitation. Michelle, thank you for such a gracious invitation. 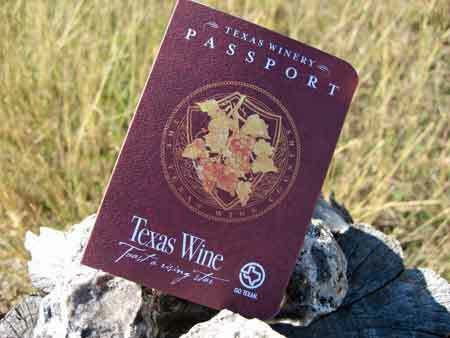 I am going to be learning a lot more about Texas and its wines in the very near future…. Who hoo!!! I’ll be your tour guide when you head this way. Thank you, and I must say there must be something wonderful about the wines of Texas as I have had two offers to come and visit the grand state and enjoy the wines. I may have have to sweet talk my Bride into a trip to Texas. Jeff, kudos to you and may you enjoy the experiences. If you’d like to lean more, I’d be happy to help. I can send you some favorite producers, many ship out of state. I write about #TXwine atleast once a month on my site and on others.